The manner and ways of recruitment have undergone a sea change in the last decade. Internet has revolutionized recruitment methods and for job seekers even with a click of a button, it has become easier to access information related to job vacancies, not just locally but also globally. It is also said that plain resumes are on their way out as infographic resumes are fast becoming popular. Though recruiting through social media has become a common phenomenon today, a new player has been emerging which has become a hotspot for job related information. Pinterest is fast becoming popular as a new-age recruitment platform, with many established companies using the forum to advertise about job vacancies. It is a web application, now as other applications, available on smart phones too, which allows registered users to create and share a wide variety of information through visual presentations. These are shared through boards which can be ‘pinned’ and which can be linked to external websites or other resources. 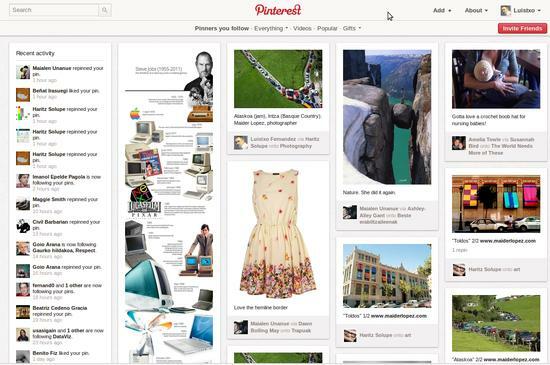 Pinterest is relatively young, having launched in March 2010, by Ben Silberman, Paul Sciarra and Evan Sharp. In a relatively short period of time, Pinterest has become one of the most sought after online media. As per the data from RJMetrics, Pinterest has more than 12 million users as of now and as evaluated by PR Daily, American users spend more time on Pinterest than on any other media, and that they spent an average of 1 hour and 17 minutes on Pinterest daily, much ahead of the time spent on Twitter or LinkedIn. Now that it is known that a post on Pinterest will attract more users than in any other platform, it is time to get started on it. Since only registered users can use Pinterest, the first step is to open an account. Give complete details of your firm, including the link to your website and a brief introduction about your company so that the candidates get an idea about you. Also upload the photo of your logo. A board can be created by going to the menu, and clicking on ‘Add +’ which will take you to ‘Create a Board’ option. You will have to enter a name and category for the board. Give a catchy heading to the board that will draw immediate attention to your board, such as ‘Join our team’ or ‘We are hiring’, etc. Give a thought as to how will the nature of your board be. Will it has to be serious or a little fun would do? Depending on the kind of candidates you are looking for or the information you want to share, be it about your business goals, vision, turn over or the culture of your company, plan first as to what will your board entail. Do not use the same board for all job postings. Instead create a new one for each job, be it for writing, finance, IT or any other job. Pinterest is all about visuals and that itself is a great way to attract viewers. Think innovatively and creatively to create a board that will stand out. The board should be attractive but at the same time, make sure that it doesn’t look too crowded and messy. Use images and videos to tell about the requirements of the job. There are companies that use a mix of visuals, which include photographs of their office, visuals from a movie and more to describe visually what the job is all about. For example, if you are advertising about a remote job, then show an image of a laptop in a garden. Let images do the talking. Create a job posting that sounds amusing and trendy. Make it interesting to the viewers. Remember, you are not targeting readers but viewers. You can create a video that will tell about the job requirements. Or you can post a video of your office and people working or better, you can even create a story using both still and moving images to let the viewers know what qualities you are looking for in a candidate. Options are limitless. You can use the Pinterest boards to boast about your company, although in a subtle way. Exhibit your great office building or its interiors or share a picture of your team or even put up a news story that has appeared about you in any website or newspapers. You can also post videos of your environment friendly initiatives or the social service activities your company takes up. 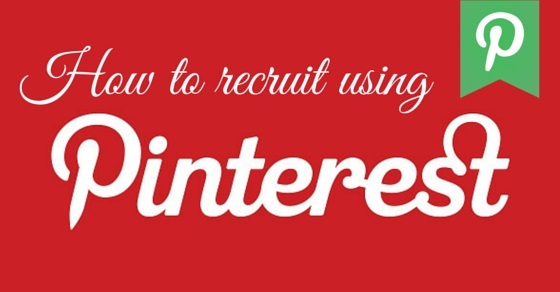 Pin QR codes on Pinterest because it paves swift access to the job submission. Experts point out that most often the marketing strategy and materials have the potential to be the recruitment branding material for the company. It is estimated that there is a fair percentage of women users on Pinterest. Creating a board that will attract women works because these boards could be even repined, thus attracting more viewers. Use images of great workplace outfits or modern gadgets to talk about an executive job opening or so. Just ensure that the images are those that have a connection to your job posting. Since direct contact is not allowed in Pinterest, there are options to link your board to any external sources that give additional information about the job or how to apply. This is great because the options are numerous. You can link to your company website or the Youtube videos of your company activities or workshops and more. You can even provide a link to your LinkedIn page. Make sure that the links you are providing have contact details of your company so that aspiring candidates can contact you soon. 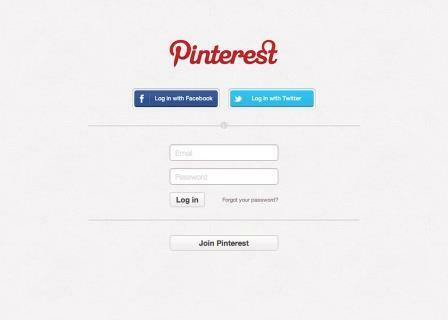 Pinterest is a social platform and as in any other social media, there are ways that you can share or like other pins. Be social and visit other boards too. You can ensure more followers or viewers by liking other’s boards or posting a positive comment about them or even re-pinning it. You reach more people thus and you also get a chance to be viewed by groups which otherwise would never have a chance to learn about you. Though Pinterest allows creative ways to showcase your postings, there are some things to avoid that will help in your recruiting process through Pinterest. Give genuine information and try not to exaggerate any point. Make the boards interesting in such a way that all types of people relate to them and you get maximum viewings. Make sure that the images and videos you use on your boards are of high quality and are interesting. Use authentic photographs and try to use recent images and videos. A video of a highly acclaimed workshop or seminar in your office a decade ago will be viewed as ‘ancient’ and will give a message that you do not have any recent achievements to talk of. If you appear to be too corporate, your pins may not attract much response. It is better if the Pinterest account is handled by someone who can engage with visitors. This helps because it adds to the authenticity and genuineness of the board. General Electric (http://pinterest.com/generalelectric/) among others. 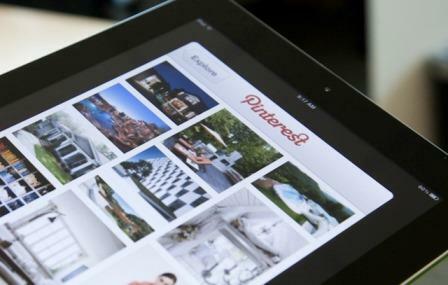 As the numbers of Pinterest keep growing, its reach is also going wide and far. No matter, if you are putting up job postings on different social media platforms, adding one more to your list will only help. With Pinterest, you can reach more undefined and un-located audience. With the above tips, you can create interesting and innovative job postings that reach the right candidates. What you require here at Pinterest is just imagination and innovation, and you can be assured of not just quick and positive responses but also a loyal fan base.